PSA/Peugeot-Citroen SA will meet trade unions next week to discuss the future of some of the carmaker's plant in France and Spain, a union representative said. PSA last week ruled out closing the plant in Aulnay-sous-Bois on the outskirts of Paris this year but left the door open to shuttering it in the future. The plant has staff of 3,600 and builds the Citroen C3. 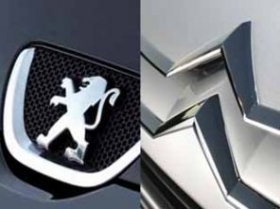 The CGT trade union representative for Peugeot, Jean-Pierre Mercier, said the extraordinary works council meeting attended by PSA representatives will take place on Thursday, June 23. "On the agenda are Aulnay-sous-Bois, Sevelnord and Madrid as well as the planned closure of a shock absorber workshop," Mercier told Reuters on Tuesday. The Madrid factory builds the Peugeot 207, 207CC, as well as the Citroen C3 and C3 Pluriel. Sevelnord in northern France builds the Peugeot 807 and Citroen C8 large minivans and the Citroen Expert and Peugeot Jumpy commercial vans. The Mediapart Web site on Tuesday published parts of a 94-page document called "Proposal of an industrial scenario to allow for capacity adjustment." Asked about it, a company spokesman repeated that it contained a scenario that came up when the group in 2009 was working on ways to improve its performance and to better use its capacity. For Mercier, however, the paper could bode the closing of the factories and he described it as "a big secret plan." Less than 200,000 cars were produced at Aulnay last year against 400,000 annually in the middle of the last decade, Mercier said last week. At Thursday's meeting, the trade union will ask PSA representatives to put in writing that it agrees to keep all jobs for the workers at Aulnay at least until 2016. The year coincides with the general lifespan of a car model. The Citroen C3 was launched in the autumn of 2009. French Industry Minister Eric Besson at a parliamentary hearing on Tuesday repeated that PSA CEO Philippe Varin had given him assurances for the plants' medium-term future. "The C3 has produced 200.000 models a year and it's PSA's No. 1 commercial success, which means that at least until the end of 2014 is assured," he said.